The Tsig is perfectly at home in an NGN network. 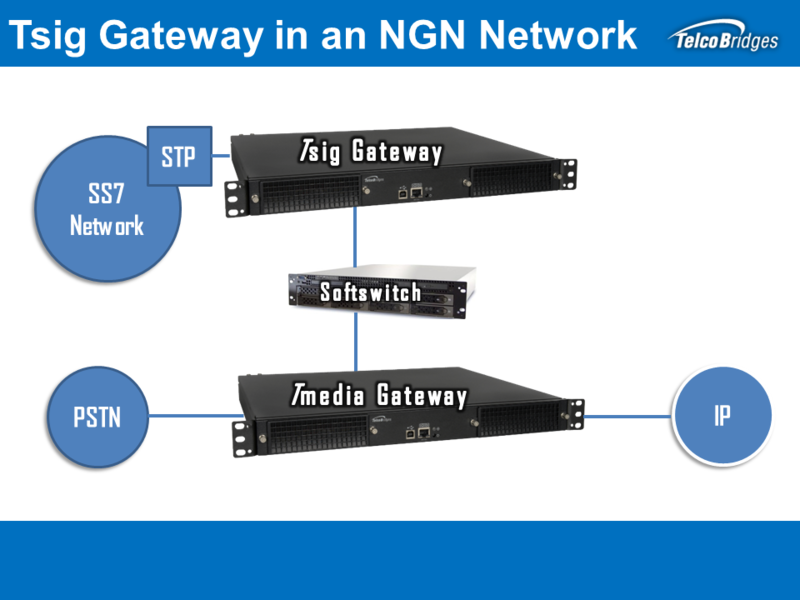 It can deliver SS7 signaling to a centralized Softswitch or Media Gateway Controller. This makes it an ideal replacement for any existing Signaling Gateways you may have that might be in their End-Of-Life (EOL).